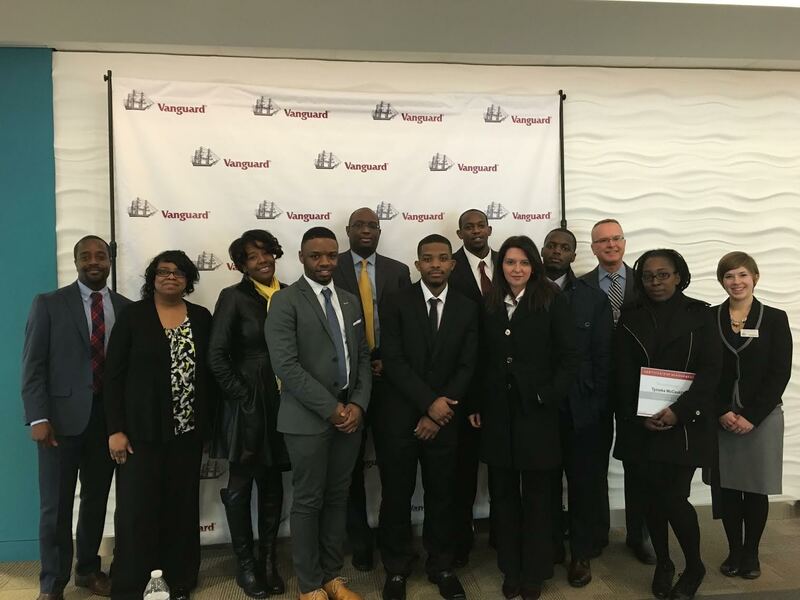 Last week, Vanguard hosted a development seminar at their campus in Malvern, PA, targeting promising undergraduate college students to nurture their leadership potential. While the application process was rigorous and many students applied to be part of this fantastic opportunity, only 30 students were ultimately accepted and able to attend. We’re proud to announce that 11 of those final attendees were Peirce College students! Peirce student participants represented several Peirce programs, including Business, Human Resources, Information Technology and Legal Studies. Peirce Professor Dr. Michael Schirmer, Business Faculty Chair, Malik Brown, Assistant Vice President, Employer Relations, and Ajeenah Nuriddin-Little, Assistant Dean, Student Services also attended. Students toured Vanguard’s corporate headquarters, asked Vanguard leaders their career questions during a panel discussion, and engaged in breakout sessions focusing on how to maximize conceptual thinking to develop leadership skills in business. 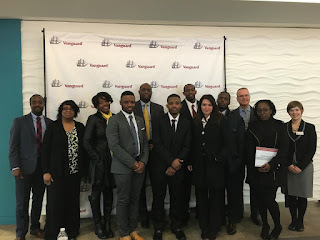 They even got the chance to practice their interview skills during informal interviews with Vanguard recruiters, where they received feedback on their resumes and interview presentation. As part of the seminar, Vanguard awarded a $300.00 academic scholarship to one student participant; they chose Tymeka McCaskill, a Peirce College Human Resources student. Congratulations, Tymeka! Thank you to our students for being great ambassadors for the College, and thank you to Vanguard for hosting us. We look forward to continuing our work with Vanguard to help align higher education and workforce needs in the Philadelphia region. For more information on Peirce’s over 150 year history of serving adult learners, click here.